Both parents have an obligation to support their children. When parents are divorcing in New Jersey, we utilize the New Jersey Child Support Guidelines to calculate the amount of support one parent must pay the other for the child’s benefit. The Child Support Guidelines are very complicated and are often computed using calculation software. 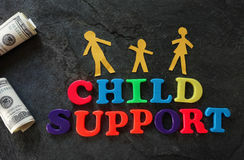 Many factors go into the child support calculation. While the parents’ respective incomes are an important factor, it is not the only relevant piece of the child support puzzle. Among several others, another significant factor is the amount of overnights the child spends with each parent. The parent with whom the child spends most of his or her overnight time is designated the Parent of Primary Residence (PPR), and the other parent is the Parent of Alternate Residence (PAR). Depending upon the numbers involved in the calculation, either the PPR or the PAR may be responsible for paying child support to the other. In New Jersey, either parent can seek to modify the existing child support arrangement based on a change in circumstances by filing a motion with the court. When a parent files a motion, the judge must determine if there has been a change in circumstances worthy of increasing, decreasing, or terminating child support. If a child moves out of the PPR’s residence and into the PAR’s home, this change in circumstances may warrant a modification. Recently, the New Jersey Appellate Division decided a case, Mirman v. Mirman, which highlights this point. (Although the case is unpublished, meaning it is not binding on other courts, it relies on controlling law.) When the parents got divorced, the children primarily resided with Mom. Years later, however, the two unemancipated kids moved in with Dad. At the time of divorce, Dad paid Mom $4,000 per month in child support. Once the children moved in with him, though, he stopped paying child support and filed a motion seeking, among other things, to have Mom pay him child support instead. The trial court in Mirman denied Dad’s request. Although it acknowledged the children now live with him, it noted that Dad’s income was a lot higher than Mom’s. Dad appealed the decision. When the Appellate Division addressed the issue, it noted Mom’s obligation to contribute to her kids’ basic support needs. That obligation does not go away simply because the children no longer reside in her home. According to the Appellate Court, the trial court made a mistake in focusing only on the parents’ incomes in concluding the children’s relocation to Dad’s residence was not a change in circumstances warranting a reassessment of the parties’ respective child support obligations. The Appellate Division relied on a binding case older than the children, Winterberg v. Lupo, and sent the case back to the trial court to figure out what Mom’s child support obligation should be. The home where the children physically reside cannot be overlooked. If you think circumstances have changed since your divorce that might affect child support between you and your former spouse, contact Ruvolo Law Group at 973-993-9960 to schedule a consultation. Blog authored by Rebecca J. Jaffe, Esq.